Skin is the largest organ in the body and serves various functions. It provides a barrier to hazardous organism, controls body temperature, vitamin D synthesis and others. 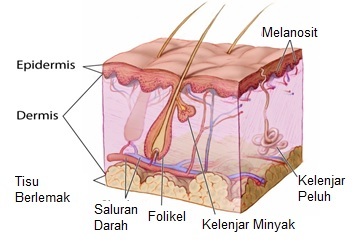 Skin consists of an outer layer called epidermis and a deeper layer called dermis. The dermis contains structures like sweat glands, sebaceous glands, nerve endings, hair follicles and blood vessels. The dermis also contains collagen to provide support and is responsible for skin turgor. Dermal filler is a synthetic material used as injectable into the dermal layer of the skin. This will provide support to the dermis and improve skin appearance. Dermal fillers are widely used in cosmetic field as one of the minimally invasive procedures. Short term refers to temporary effect of the filler after injection. Material that is commonly used is hyaluronic acid. Hyaluronic acid is manufactured as fine particles but there is a variation in the composition for the purpose of superficial or deeper injection. This material will last for about 9 to 12 months after which the hyaluronic will start to disintegrate. The effect of hyaluronic acid can also be reversed by an enzyme called hyaluronidase. Repeated injection is required to achieve the desired effect. Materials such as calcium hydroxyapatite, polymethylmethacrylate and silicone are permanent fillers. These materials when injected under the skin will remain indefinitely. Surgical removal is also very difficult as the material will be densely adherent to the skin. 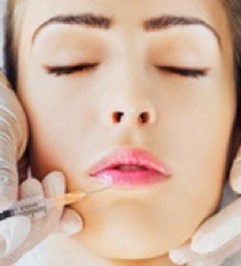 Dermal filler is widely used in cosmetic field for facial rejuvenation. It helps to reduce wrinkle lines, deep folds in the cheek or forehead, increase volume in the nose, around the eye or as filler for post acne scars following subcision procedure. Dermal filler is a foreign body injected into the human body. It may cause lumpy skin, inflammation, infection, bruises or even bleeding if wrongly injected into deeper tissue. Injectable Agents for Facial Rejuvenation: Botulinum Toxin and Dermal Filling Agents. John T. H. Mandeville, M.D., Ph.D. Peter A. D. Rubin, M.D., F.A.C.S.